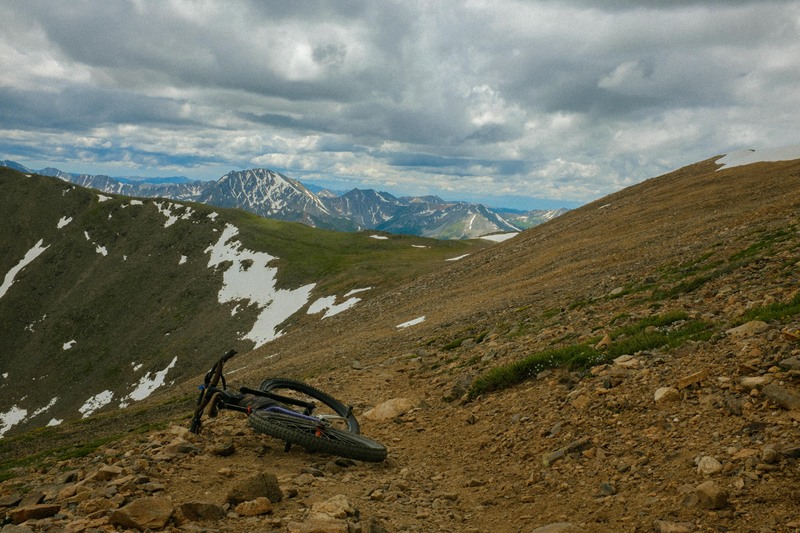 18 of Colorado’s 54 14,000′ peaks are open to bikes- that guy in the shop said he’d done 15 of them. I wish I could remember the dude’s name. 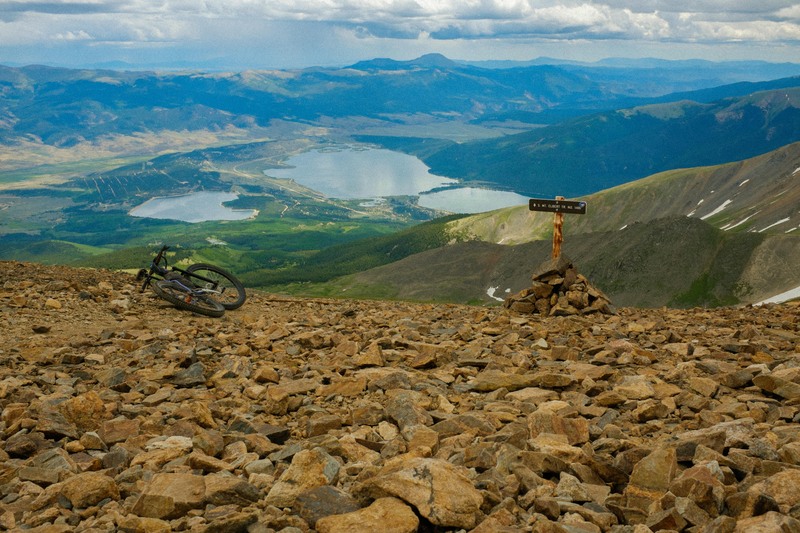 Mount Elbert is the tallest, and from what I can tell, it’s also one of the most rideable (down). 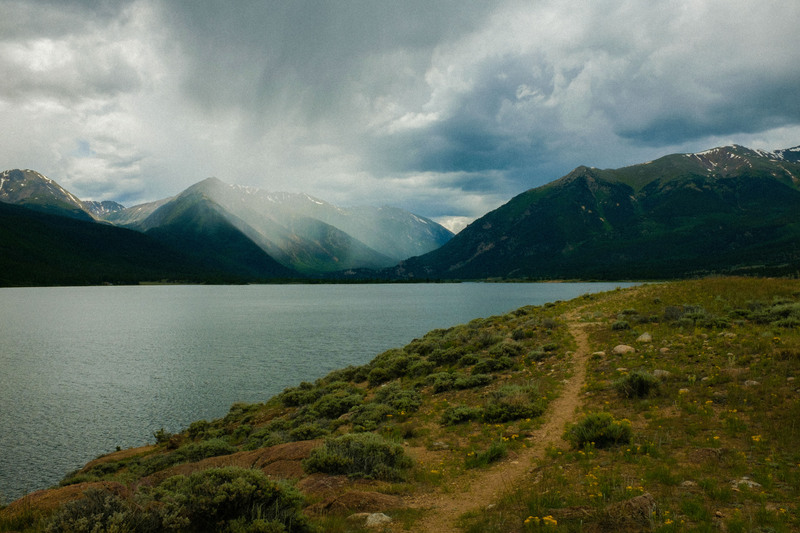 Colleen and I left the Shark at Twin Lakes, and started up the Colorado Trail. 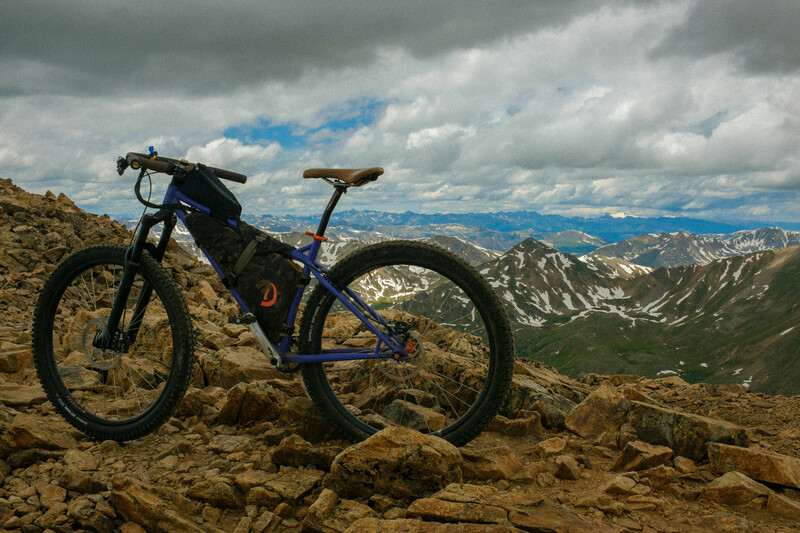 Before we even made it to treeline, it was pretty obvious that her ECR, which is basically a dirt road touring bike with big tires, wasn’t going to be ideal for riding off the top of Colorado’s highest peak. So she ditched it in the trees, while I kept pushing my bike up the mountain. And up, past treeline, past a line of looking Texans. A while later, I hit the summit. Clouds were rolling in, but I figured I could be down before anything got bad. A scraggly looking hiker sat at the top. “Oh yeah! Good work!” he yelled, with a funny German accent. “Wow, that’s a ways,” and a good route. 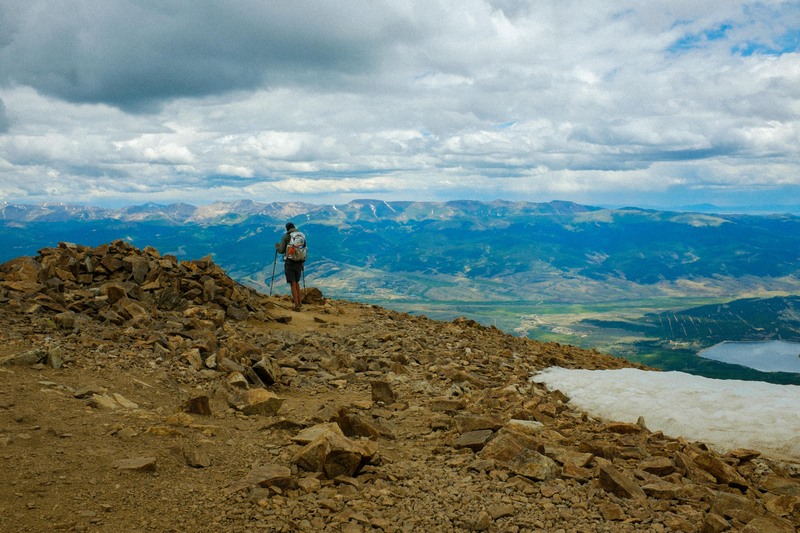 A few of my friends on the CDT this year had to do all sorts of weird backtracking, hitchhiking, and car renting to get around the snow in Colorado earlier in the spring. “I am Spaceman,” he said, and held out a hand. Spaceman left, to keep on walking to Canada. 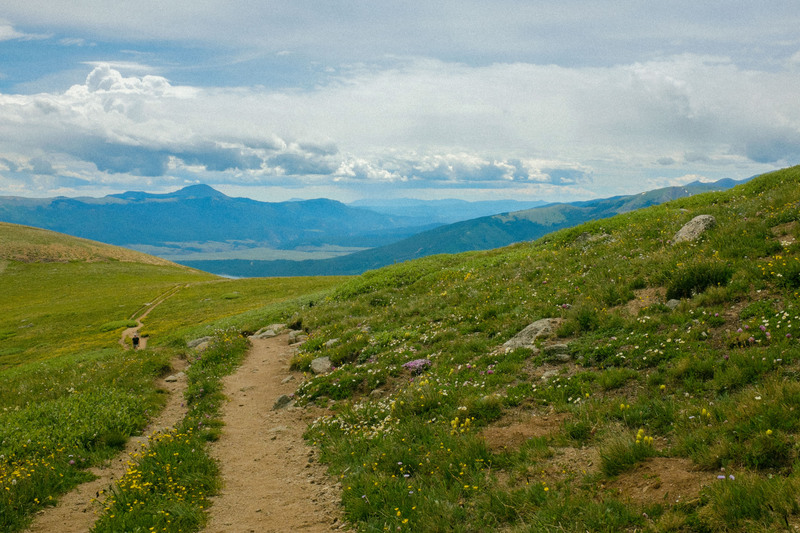 I got back on my bike, and started to creep down through the scree field. Then onto the real trail, gravity ripped me down. Hot damn, let off the brakes for a second and the bike shot ahead. 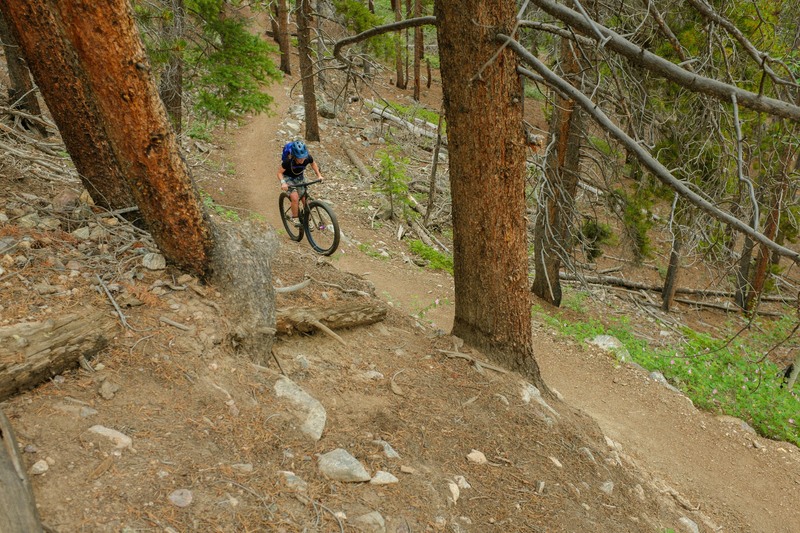 Reigned it in for a switchback, let it go again. Out of the scree and onto dirt, brakes screamed as the rotors glazed over. My god, the best descent I’ve ever been on. A few minutes later, back to treeline and back to rocks. A few more minutes of brake frying, and I hit the Colorado Trail. 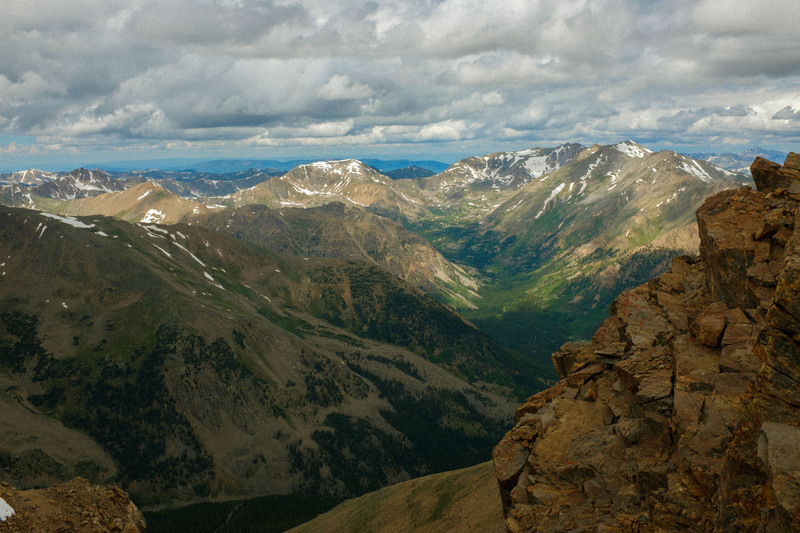 Something like three hours up, and about 20 minutes to descend. The season is closing in, but man, I really want to do a few more of these before the snow hits. Riding off a peak is pretty incredible. And people hiking were nothing but supportive- except for the two old guys that heckled me when I put a foot down on a super steep section. 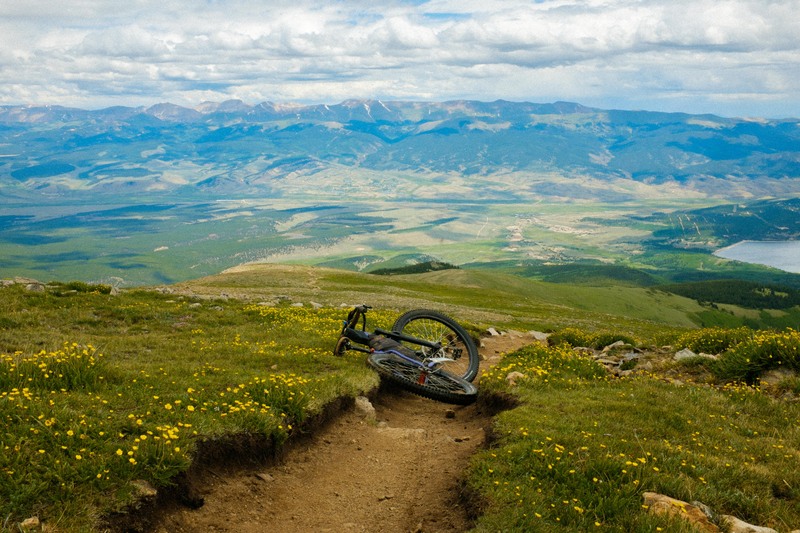 “Hey, get what’d you bring that bike up here for if you can’t ride it? You powder those hands?” they yelled. Powdered hands- can anybody explain that one? I made back to the Shark right before the rain hit- no way I could have outrun that storm on foot. Bikes are rad. Looking for a good time?